Available on Steam Early Access! 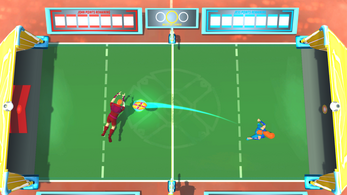 Gyrodisc Super League is a bright, colourful arcade sports game for up to 4 players. Players compete in a lightning-fast futuristic sport that's a blend of air hockey, tennis and volleyball. 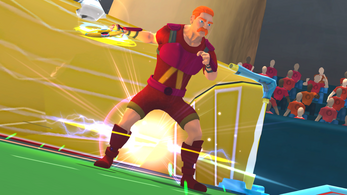 The rules may be simple, but victory is seized through quick reactions and devious mind games! 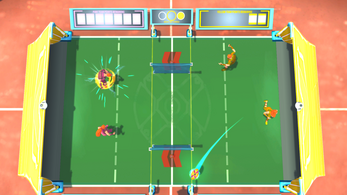 Fast-paced local multiplayer: Compete with your friends in thrilling competitive versus matches for up to 4 players, or add AI opponents to get in some much needed solo training. We plan to add new game modes throughout early access, including an arcade style story mode, and mini games! 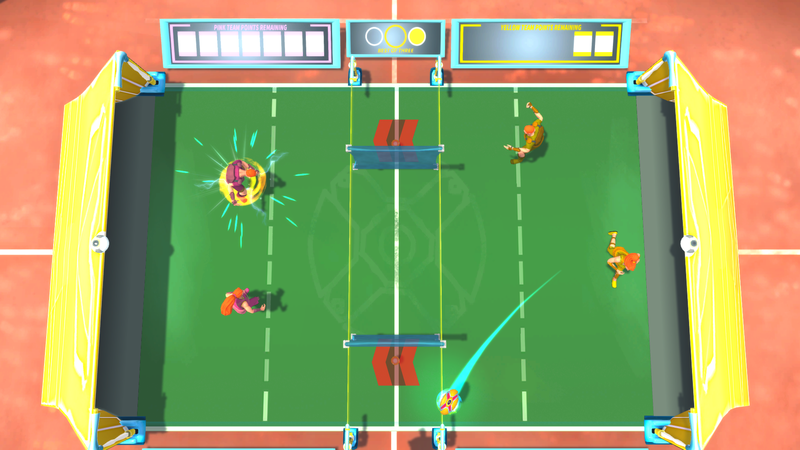 Singles and doubles gameplay: Take on your opponent solo in classic singles matches, or battle it out in teams of two in hectic doubles games, where a combination of individual skill and team tactics will win the day. Choose your character: Choose between two unique player characters, each with their own strengths, weaknesses and a powerful signature throw. More player characters will be added throughout Early Access! 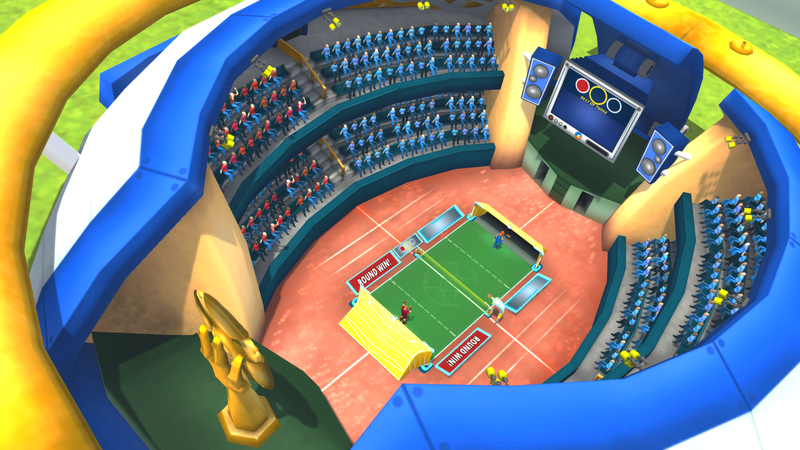 Choose your Arena: Select from 5 distinct court setups at launch, with their own arrangement of goals, score boosts and obstacles that change the layout of the Gyrodisc Super League Arena. New courts and arena environments will be added throughout Early Access, allowing you to mix and match the visual and gameplay style of your matches. Using all the moves at your disposal is key to victory in Gyrodisc Super League! 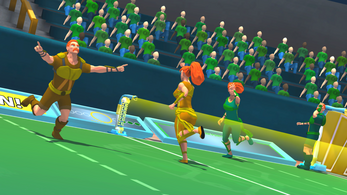 Run, dive, catch and throw to keep the disc out of your goal and send it soaring towards your opponent's. 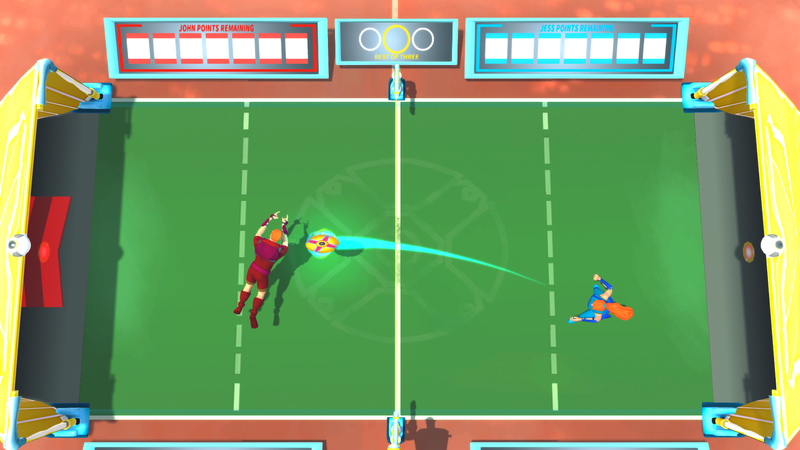 Lob the disc over the heads of your opponent to catch them off guard. Throw the disc the instant you catch it for a high-speed perfect return. Chain perfect returns together and the disc gets faster and faster! 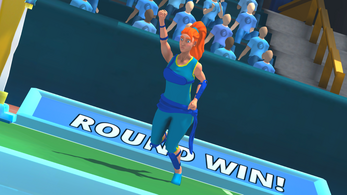 Advanced moves including looping curved throws and wild special throws. Use these tools together to wrong-foot your opponents and keep them guessing! Please port on Dreamcast !